Discovering a natural cure for prostate cancer is tightly linked with what has caused the cancer in the first place. By identifying the root/cause of the problem you can then act to make changes where necessary. As discussed on the prostate cancer life expectancy page, there is little difference in life expectancy between undergoing medical procedures and doing watchful waiting. But overhauling you diet/lifestyle to counter the causes of the prostate cancer in the first place can have a huge positive impact beyond just waiting. You can find more information on what causes prostate cancer page but now let’s look at how to counter these causes with a natural cure for prostate cancer. The most important thing you can do when fighting prostate cancer is to overhaul your diet. The culture of fast food and ready meals fills our bodies with unnatural toxins and creates a huge range of health issues. A recent study has even upped the famous ‘5 fruit and veg a day’ to a minimum of 7 fruit and veg a day with a recommended intake of ten! When trying to change your diet there is no point trying to copy a diet plan directly from somebody else, each person’s body has different wants and needs and these should be catered for in a tailored diet for you. For instance, kale is well known as a ‘superfood’ and is highly recommended in most diet plans, however, if an individual has over-indulged on kale over a long period of time it can lose its effect as a healthy food and in fact become toxic. 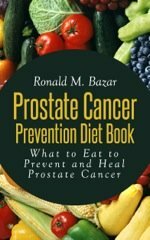 More detailed information on these diets and how to create the perfect individual diet plan can be found in my books – The Prostate Health Diet: What to Eat to Prevent and Heal Prostate Cancer and Prostate Cancer Prevention Diet. Vitamin D is absorbed by the body through the UV rays released from the sun. It may surprise many people to learn that a lack of vitamin D is one of the leading causes of prostate cancer, however, it also plays a role as a natural cure for prostate cancer. Vitamin D activates the immune system to help it work against rogue cells and also has the ability to normalize and correct cancer cells. Exposing yourself to the sun’s UV rays for 15-20 minutes per day without sunscreen can be of huge benefit in healing your body from prostate cancer. Many people have become afraid of the sun due to hyped-up media reports of the dangers of UV rays, however, there is overwhelming evidence that suggests a short period of exposure to the sun every day is essential in gaining the Vitamin D your body requires. With the ever-growing dependence our society has on technology and the easy on-demand entertainment provided by TV’s and computers, our culture has become one of extreme laziness. Becoming physically active can improve your strength and fitness, reduce tiredness and generally improve your quality of life. Having high levels of testosterone as you age is one key to keeping prostate cancer at bay. The best way to naturally increase those levels is by exercising, especially with short bursts of high-intensity interval training and strength training. Add daily exercise to your routine by doing something as simple as getting off at an earlier bus stop or walking upstairs instead of using a lift. You could also take up swimming, cycling or gardening. Remember: A healthy lifestyle means a healthy body and a healthy prostate. Stress is a huge factor in many people’s lives due to the fast-paced nature of the world we live in today. It has been proven that stress is a leading cause of all diseases, not just prostate cancer, and managing our stress levels is essential in leading a healthy life. By managing your stress levels and symptoms you can allow your body to relax and allow it to concentrate on fighting the prostate cancer rather than using all your energy worrying about a certain issue. 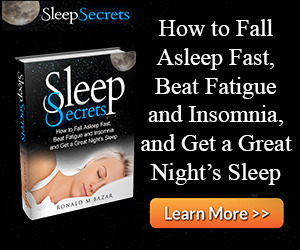 A simple step you can take to help your body relax is to regulate your sleep. Try going to bed as early as possible, ideally before 10pm, to allow your body maximum rest. By doing this your body will release maximum human growth hormone which will help to fight the cancer cells and act as another natural cure for prostate cancer. Alcohol and smoking are well documented as being bad influences on a body’s health. Drinking too much alcohol can lead to weigh gain and problems such as heart disease and smoking dramatically increases the risk of cancer advancing and growing. Quitting alcohol and smoking can only have a positive effect on your body and is a basic step to take when fighting prostate cancer. Chemicals like BPA found in food can linings and plastic bottles have been proven to cause prostate cancer. 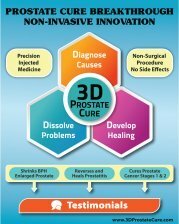 So is the best solution to cut out your prostate or to stop the causes of prostate cancer and allow your body to heal? 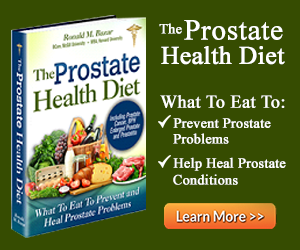 The above is a brief overview of steps that can be taken as a natural cure for prostate cancer. 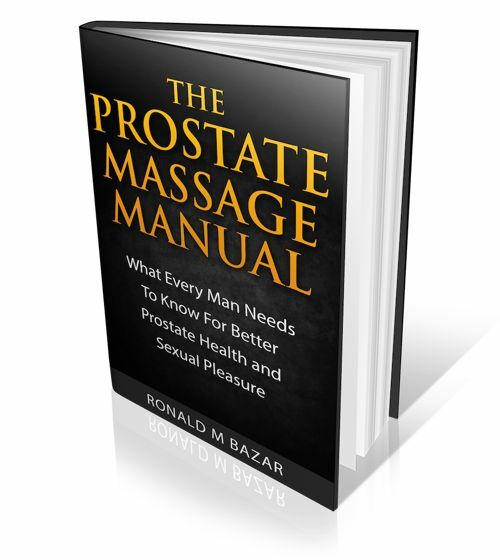 More detailed information on how to change your lifestyle and beat prostate cancer can be found in my book – Healthy Prostate: The Extensive Guide to Prevent and Heal Prostate Problems.